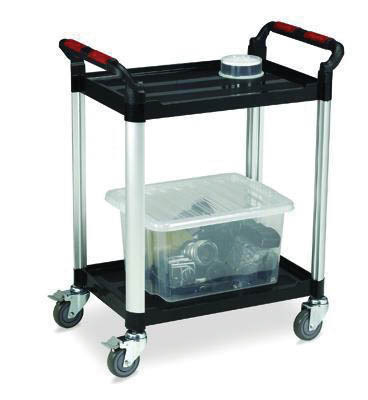 Robust tray trolleys with ribbed plastic shelves to provide strength, durability and stability. Lightweight and easy to clean. Aluminium uprights with ribbed shelves. Fitted with 100mm diameter castors.